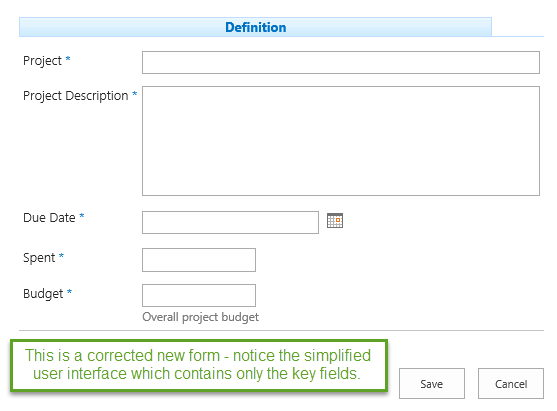 The add form should only present the fields relevant to the beginning of the process. Use Advanced Column Permissions to simplify the appearance of the add and create a more friendly and intuitive user experience. Consider an add form that shows all the tabs and fields defined for a list. The user should not be presented all of this information when first creating a record. You should hide the fields and tabs that are not relevant using the Advanced column permissions settings. Create a pair of settings for each field - Deny for new item and Edit or View for the edit and view forms. By default under tab settings - general settings, a tab with only hidden fields is set not to appear in the user interface. 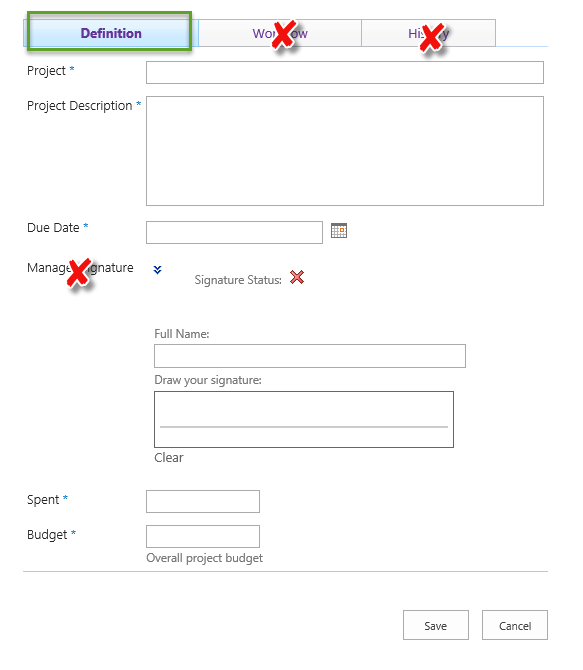 Be sure to create a pair of rules for each field that should be hidden on the add form. Generally it is safe to simply apply the same permissions for the edit and view forms. The user will not be able to edit values on the view form regardless of your settings.